Salvation Army (France / Morocco / Switzerland, dir. Abdellah Taïa)—Moroccan writer Abdellah Taïa makes a memorably assured filmmaking debut with this adaptation of his autobiographical novel. As a gay teenager living in Casablanca with his large family, Abdellah is preyed upon by horny men in the souks, while indulging his own sexual obsession for an older brother at home. Events during a seaside holiday trigger the desire for a different life, and mid-film we're thrust ten years ahead to Geneva, where an older Abdellah will take up residence in the local Salvation Army while waiting for a Swiss scholarship to kick in. Taïa directs his film with an economy of filmic language, employing short, spare scenes which speak volumes. The film eschews any musical score, yet it is music upon which Salvation Army's abruptly poignant final moment rests. Taïa is aided immeasurably by the exquisitely restrained camerawork of ace DP Agnès Godard. This is my favorite of the films I previewed, and is one of 11 films competing for this year's SFIFF New Directors Prize. School of Babel (France dir. Julie Bertuccelli)—While Julie Bertuccelli is best known for narrative features such as Since Otar Left and The Tree, is it in the documentary realm where I believe she really shines. Her latest is a compelling and compassionate look at one year in a Parisian "reception" class for 11-year-old immigrants, where they study French language and culture, as well as a general curriculum. The disparate students include a Jewish boy whose family fled neo-Nazi attacks in Serbia, a girl from Guinea who faces genital mutilation if returned home, and a boy with Asperger Syndrome whose single mother left Ireland in search of economic opportunity. They're guided by an empathetic but resolute teacher, Brigitte Cervoni, who will also help them produce a class video they'll bring to a youth film festival in Chartres. The parent-student-teacher conferences, where students are frequently put in the awkward position of playing interpreter, are particularly illuminating. School of Babel begins on Day One with each student writing "hello" on the chalkboard in their native language and ends with intensely emotional farewells on graduation day. Be sure to have a handkerchief in hand. The Reconstruction (Argentina dir. Juan Taratuto)—Writer / director Juan Taratuto wastes no time in telling the audience that his main character is a miserable S.O.B. In the opening scene, we watch Eduardo barrel down a deserted Patagonia highway, refusing to stop when he passes a woman screaming next to an overturned vehicle. Clearly, this is a man in dire need of reconstruction. In short order he receives a call from Mario, a former co-worker living in the tourist town of Ushuaia, and very reluctantly agrees to watch over Mario's gift shop while he undergoes medical tests. Mario lives with a wife and two teenage daughters and enjoys a warm family life, an environment into which the bristly Eduardo fits like a space alien. When a tragedy occurs, Eduardo is presented with the opportunity to rediscover his humanity, but is he already too broken to try? Diego Peretti, the eagle-beaked and beady-eyed actor who also stars in the upcoming The German Doctor, gives a haunting performance and is reported as having collaborated with Taratuto on the script. Considering the subject matter, it's worth mentioning that the film never once feels mawkish or manipulative. Two quietly devastating scenes in particular—which of course I can't divulge here—are as memorable as anything I've seen at the movies this year. What Now? Remind Me (Portugal dir. Joaquim Pinto)—Although I might not be familiar with the previous films of director Joaquim Pinto, I'm very aware of the filmmakers on whose films he has worked in the sound department, ranging from Manoel de Oliveira to André Téchiné to Christophe Honoré. In this intimate, nearly 3-hour documentary made during a year the director suffered the toxic (and occasionally delusional) effects of HIV and Hepatitis C treatments, Pinto reflects back on his life and career. Sharing screen time with Pinto are his strapping younger husband (and frequent film collaborator) Nuno Leonel, their four dogs and the arid plot of land in the Azores they've called home for 10 years. Featuring a non-stop voiceover commentary from Pinto, the film touches on everything from his university years in the GDR, the nature of diseases, cave dwellings of our ancestors and the passage of time. Visually the film blends archival footage and quotidian verité with flourishes of superimposition and animation. There's even a discrete scene of sexual intimacy between Pinto and his husband. What Now? Remind Me is a staggeringly original work which deservedly won both the FIPRESCI and Grand Jury prizes at last year's Locarno Film Festival. If You Don't, I Will (France, dir. Sophie Fillières)—Two of my favorite French actors, Mathieu Amalric and Emmanuelle Devos, team up once again as a prickly on-screen couple in this wickedly offbeat tale of a marriage on the rocks. Pierre and Pomme are empty-nesters who've reached the point where even simple conversations devolve into a volley of passive-aggressive barb slinging. During a particularly contentious mountain hike mid-film, Pomme decides she's had enough and takes off to go live alone in the forest. Pierre returns home and feigns disconcern, at least initially, when Pomme fails to return after several days. While the film takes a slightly dark turn here, bemusement is always around the corner, such as when Pomme crashes a chamber music festival, or when a chamois abruptly drops out of the sky and into her forest abode. Director Fillières also wrote the screenplay and the film marks her third collaboration with the outstanding Devos. If You Don't, I Will is the second funniest film I've seen this year (after Bruce LaBruce's Gerontophilia). 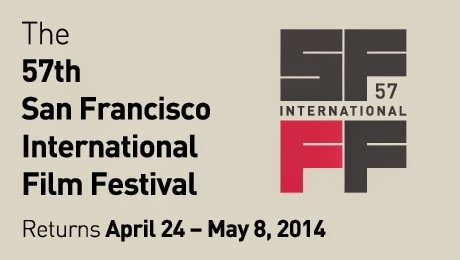 The 57th San Francisco International Film Festival will be taking off in just a few days time. In recent posts, we've looked at this year's awards and special programs, as well as SFIFF57's extensive line-up of French selections and films from other parts of Europe. Now it's time to wrap up this year's round-the-world perusal with highlights of SFIFF57's ambitious roster of films from Asia, Africa, the Middle East and the Americas. While my enthusiasm for new Asian cinema has perhaps waned in recent years, I'm always game to see a new work by a favorite filmmaker. 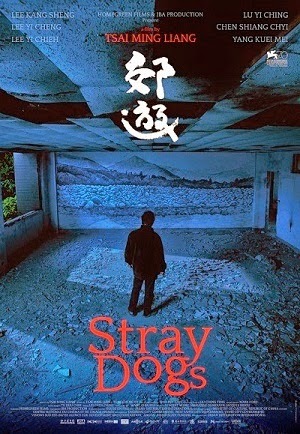 At this year's festival, that film will be Tsai Ming-liang's Stray Dogs. SFIFF has a long history with the minimalist Taiwanese director, going back to 1992's Rebels of the Neon Gods. (Not that I'm bragging, but that film's original Chinese poster hangs in my bathroom.) The festival was also responsible for bringing us Vive l'amour (1994), The River (1997), The Hole (1998) and The Wayward Cloud (2005). The consensus seems to be that his new film, Stray Dogs, is a return to form following the misfire of Face, Tsai's 2009 tripped-out take on Salomé (which remains unseen in the Bay Area). At this year's Golden Horse Awards—essentially the Oscars® for Chinese language indie / art films—Tsai won Best Director and his longtime filmic muse, Lee Kang-sheng, took Best Actor for this story of a father and two children surviving on the streets of Taipei. It's been very touching to have watched Lee age under Tsai's admiring gaze these past 22 years. Another big name Asian auteur with a film in SFIFF57 is the prolific South Korean, Hong Sang-soo. Our Sunhi is one of two movies the filmmaker released in 2013, and it's the one that won him the Best Director prize at the Locarno Film Festival. Hong has been making films since 1996—Our Sunhi is his 15th feature—but it's only in the past few years that SFIFF has begun programming his work, screening Hahaha in 2011 and The Day He Arrives in 2012. His films are probably an acquired taste, with their squicky protagonists (as often as not, a drunken blowhard film director) and kinked-out narrative structures. Honestly, I found his earlier works almost unbearable. But I've been converted and am now fully on board the Hong train, eagerly awaiting a date with Our Sunhi. Filipino cinema has experienced a renaissance in the Bay Area, thanks to curator Joel Shepard of the Yerba Buena Center for the Arts (YBCA). One of the directors he champions is Lav Diaz, an award-winning independent filmmaker whose socially and politically conscious films are also noted for their extreme length (2004's Evolution of a Filipino Family clocked in at nine hours). 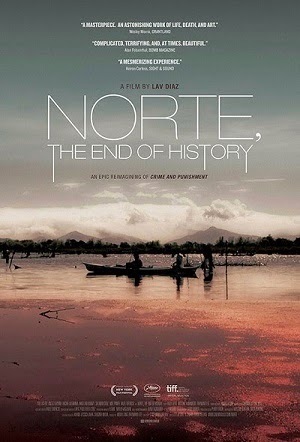 While my own singular experience with a Diaz film saw me lasting only halfway through 2011's six-hour Century of Birthing, I'm committed to catching the entirety of SFIFF57 selection Norte, the End of History. Running a brisk four hours and 15 minutes, Norte screened in Cannes' Un Certain Regard sidebar last year, and is said to be Diaz' most accessible film. If you're unable to catch it during the festival, YBCA will screen it four more times in June. On a related note, the festival will also present a 4K digital restoration of master Lino Brocka's 1975 masterpiece Manila in the Claws of Light. The film, which for some reason was titled Manila in the Claws of Darkness when I saw it at the festival decades ago, has been restored by Martin Scorsese's World Cinema Foundation with the assistance of Mike De Leon, the film's original cinematographer and an acclaimed director in his own right. Two films from Kazakhstan have secured slots in the festival, Seric Aprymov's Bauyr (Little Brother) and Emir Baigazin's Harmony Lessons. I caught the latter at this year's Palm Springs International Film Festival and fully recommend it as a troubling, intensely cinematic allegory of institutionalized bullying and authoritarianism. A major caveat—animals were definitely harmed during filming, including, but not limited to, a roach getting fried on a miniature electric chair. There's also ample violence meted out against the film's teenage protagonists. I anticipate the unnerving Harmony Lessons will be one of the most talked about films at SFIFF57 amongst those who see it. Other possibilities within the festival's Asian narrative features include Peter Chan's American Dreams in China (with cinematography by Chris Doyle), Firestorm starring Hong Kong superstar Andy Lau, South Korean Late Show entry Intruders, Mary is Happy, Mary is Happy, with a story constructed from the Twitter musings of a Thai teen, and finally Tamako in Moratorium, from Nobuhiro Yamashita, director of 2005's hysterically funny Linda, Linda, Linda. It happens that all three Asian documentaries I plan to see are works by Western filmmakers. My top doc choice of the entire festival is Stephanie Spray and Pacho Velez' Manakamana, which arrives from the visionary folks at Harvard's Sensory Ethnography Lab (Sweetgrass, Leviathan). It consists of only a dozen shots, all long takes of passengers riding a cable car up to the titular Nepalese mountaintop temple. On one trip it's a group of schoolboys, on another it's three old ladies eating rapidly melting ice cream cones, and on another it's a bunch of goats. I am truly looking forward to seeing this. From over in neighboring Bhutan there's also Thomas Balmès' Happiness, a docu-fiction hybrid that witnesses the changes brought to a small village by the arrival of electricity and the internet. Balmès is best known for the 2010 commercial hit documentary, Babies, and this new film is scored by favorite indie band, British Sea Power. Lastly, in Swiss director Luc Schaedler's Three Letters from China, we're presented with three intimate views of life in a rapidly changing People's Republic. The film I most want to see from this region is Mohammad Rasoulof's Manuscripts Don't Burn, a clandestinely filmed drama about Iran's Secret Service police and their harassment of artists and intellectuals. Rasoulof would certainly have first-hand knowledge on that subject. The film is being likened more to 2011's solemn Goodbye (SFIFF55) than the director's earlier, otherworldly allegories like Iron Island and The White Meadows. The SFIFF57 line-up also features a trio of promising Sundance award winners from this part of the world. Zeresenay Berhane Mehari's Difret is an Ethiopian legal drama focused on women's rights, which won the festival's World Cinema Audience Award. Sundance awarded its Grand Jury Prize for World Cinema Documentary to Talal Derki's Return to Homs, a harrowing look at the effects of revolution on two young men in Syria's third largest city. The festival's documentary jury also saw to fit to award a special prize for "Cinematic Bravery" to Hubert Sauper's We Come as Friends, which examines the human cost of neo-colonialism in the newly formed nation of South Sudan. Sauper, whose 2004 Oscar®-nominated Darwin's Nightmare is one of my all-time favorites, is expected to attend the festival. 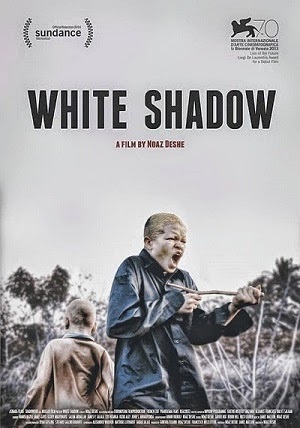 Finally, in Noaz Deshi's fevered White Shadow, a Tanzanian albino teen struggles to remain alive in a culture that believes his body parts have restorative properties. The film has gotten incredible buzz since its Venice premiere, including the signing on of Ryan Gosling as executive producer. Variety's Guy Lodge praised the film as being "stylistically reckless in the best possible way," as it "veers wildly between earthy verité and near-ecstatic surrealism." White Shadow, as well as Difret will be competing for this year's New Director's Prize. Out of all the movies in the festival line-up, it appears that Justin Simien's social satire Dear White People is the one Bay Area audiences are most excited about. Its two SFIFF57 screenings were among the very first to go to rush. A retinue of folks associated with the film is expected to attend the festival. As for me, I'm most looking forward to Night Moves, the eco-terrorism thriller from Kelly Reichardt (Wendy and Lucy, Meek's Cutoff), starring Dakota Fanning, Jesse Eisenberg and Peter Sarsgaard. I'm also hoping to see the adaptation of Cormac McCarthy's Child of God, directed by and co-starring the ubiquitous James Franco. 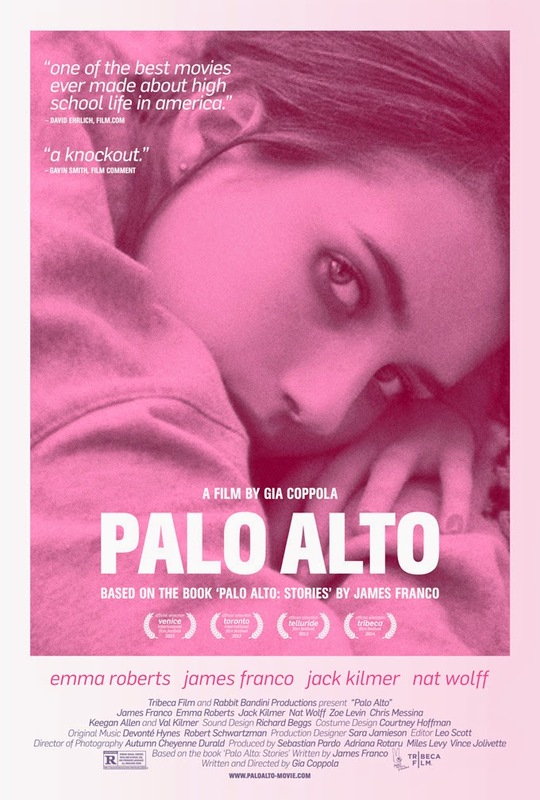 (SFIFF57's Centerpiece Film Palo Alto, also co-stars Franco and is based on a book of his short stories.) The film is Franco's second 2013 directorial literary adaptation, following William Faulkner's As I Lay Dying. And because I love Susan Sarandon and nostalgic movies set in East coast seashore resort towns, I might also have to take a look at Michael Tully's Ping Pong Summer. Jeremy Irons will receive this year's Peter J. Owens Acting Award, but it should be noted that SFIFF57 offers other opportunities for star-gazing. Indie queen Patricia Clarkson will attend the world premiere of Last Weekend on May 2, along with other cast members and the film's co-directors, Tom Williams and Tom Dolby. Dolby wrote the screenplay and is the son of pioneering sound engineer, Ray Dolby. Clarkson plays a well-to-do Lake Tahoe matriarch who gathers the family together for one final Labor Day weekend at the family manor. Saturday Night Live co-alumni Bill Hader and Kristen Wiig will also be in town for the May 1 screening of Craig Johnson's dysfunctional family dramedy The Skeleton Twins. It will be the film's first screening since its Sundance premiere back in January. Roughly half of this year's U.S. feature films are documentaries, and a typically eclectic bunch they are. The first to grab my attention was Jeffrey Radice's No No: A Dockumentary. 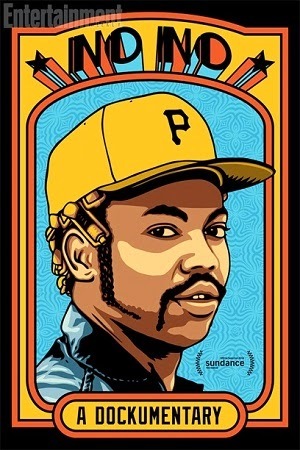 I'm no sports fan, but who doesn't want to see a film about the man who pitched a no-hitter, major league baseball game in 1970 while tripping on LSD? The player's name was Dock Ellis and his reputation as an African American rabble rouser who was told everything he did was a no-no, earned him the nickname, "The Muhammad Ali of the Ballpark." The film earns bonus points by having a score composed by the Beastie Boys' Adam Horovitz. No No: A Dockumentary will be shown with Michael Jacobs' 10-minute short The High Five, which explores "the origin of the seemingly most instinctual of celebratory gestures." Perhaps as a result of Twenty Feet from Stardom winning last year's audience award for Best Documentary—not to mention that Oscar®—SFIFF57 will feature four music-related documentaries. These include a reminiscence of indie singer / songwriter Elliott Smith (Heaven Adores You), a stylized look at a day in the life of Australian rocker, author, screenwriter and film composer Nick Cave (20,000 Days on Earth), a bio-doc of the Grateful Dead's legendary rhythm guitarist (The Other One: The Long Strange Trip of Bob Weir) and finally a portrait of veteran entertainment manager Shep Gordon (Supermensch: The Legend of Shep Gordon). The latter reps the directorial debut of actor/comedian Mike Myers, and Mr. Gordon himself is expected to attend the festival. (The film opens at Landmark's Embarcadero Cinemas on June 13.) Also attending the fest will be The Dead's Bob Weir, who is expected to perform a mini-concert at his May 2 screening. I can only assume word has not gotten out about this, as tickets still seem to be available. Here's a rundown of a few other American docs of possible interest. Jeremy Ambers' Impossible Light explores artist Leo Villareal's dream, which was to cover the Oakland Bay Bridge's suspension cables with 25,000 computer-programmed LED lights. It's quite beautiful to see, if you haven't been to the Embarcadero yet to experience it. I'm therefore curious why the festival has given this film of such obvious local interest just one screening—and scheduled it at 4:00 p.m. on a weekday? Biographical documentaries of a non-musical nature at SFIFF57 include The Dog, a 10-years-in-the-making portrait of John Wojtowicz, the real-life person portrayed by Al Pacino in Dog Day Afternoon, and Burt's Buzz, where you'll learn all about the bearded guy with the railroad cap whose singular image has graced billions of lip balm packages. 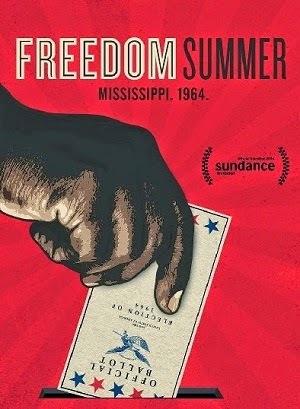 Social issue documentaries are a mainstay of this festival and among this year's selections are films about Cesar Chavez (Cesar's Last Fast), the Mississippi civil rights movement in the summer of 1964 (Freedom Summer) and a conflict between immigrant workers and locals in a North Dakota fracking boomtown (The Overnighters). For a few years now, the Academy of Motion Picture Arts and Sciences has sponsored a SFIFF World Cinema Spotlight, which "calls attention to a current trend in international filmmaking, bringing to light hot topics, reinvigorated genres, underappreciated filmmakers and national cinemas." This year the festival has chosen to spotlight New Voices in Latin American Cinema, with five films from first and second-time directors hailing from Costa Rica (Neto Villalobos' All About the Feathers), Mexico (Claudia Sainte-Luce's The Amazing Catfish), Venezuela (Mariana Rondón's Bad Hair), Argentina (Benjamin Naishtat's History of Fear) and Uruguay (Manolo Nieto's The Militant). They are joined by three additional features in making up SFIFF57's eight-film line-up of recent works from Latin America. For a savvy and extensive critical overview of these films, I defer to my esteemed colleague Michael Guillén's entry here on The Evening Class, whose special focus is Latin American Cinema. I'll end by saying that I am particularly excited the festival has programmed Club Sándwich, the third film from Mexican director Fernando Eimbcke. While SFIFF has shown his two previous features, Duck Season and Lake Tahoe, this is the first time that Eimbcke himself is scheduled to accompany his film to the Bay Area. 04/28/14 ADDENDUM: An added SFIFF screening of Jeremy Ambers' Impossible Light will be a special, outdoor screening for the general public on May 5th at 8 pm at the Exploratorium. Of note is that both screenings of Impossible Light sold out less than an hour after the outdoor one was announced, but Ambers has managed to also get the Roxie Theater to screen it on May 8th at 7:00PM, and possibly at a couple other theaters around the Bay Area thereafter. Cross-published on film-415 (in a slightly alternate version). 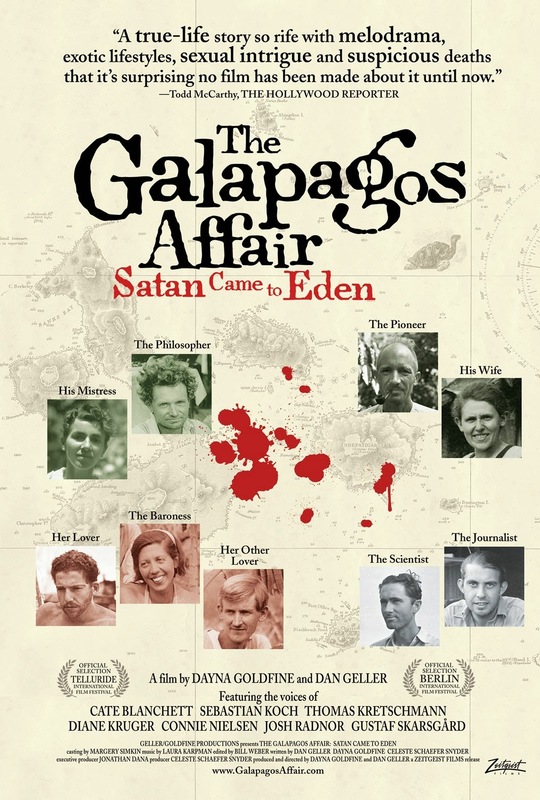 I'm pleased to announce that my friends at Fandor have published my conversation with Dayna Goldfine and Dan Geller on the occasion of the theatrical release of their most recent documentary The Galapagos Affair: Satan Comes to Eden. In this piece, Goldfine and Geller talk unreliable narrators and self-made mythologies. A reminder that the body of this duo's remarkable work can be streamed at Fandor. Anyone who knows me realizes that, for me, conversations are like liquid gold and I hate to waste a drop. So, though not necessary for a conversation on their latest documentary, I did enjoy asking a few questions about Goldfine and Geller's previous film Ballets Russes (2005). Dayna Goldfine: I remember with Ballets Russes, the first time we looked at some of the archival footage, we were sitting in the Library of Performing Arts in New York and we didn't know the dancers yet. I don't think we had even done more than one or two interviews. So we were looking at these rare, grainy black and white images on little screens and they didn't mean a thing to us. It really took these beautiful living human beings to talk about them, moving back and forth in time between them; it took that kind of effort to make those images mean something to an audience. Michael Guillén: Along with your skill at editorial timing. One of my favorite moments in Ballets Russes was when you were profiling Nathalie Krassovska. 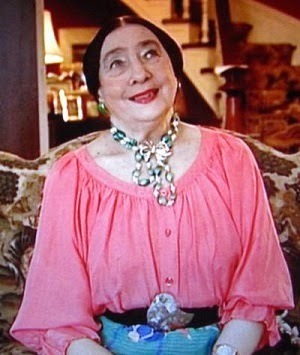 I adored her! Those uplifted, insouciant eyebrows! And her ostentatious jewelry! And when you were focusing on her ill-fated love affairs and the one marriage that ended in divorce four months later and you cut to her and she's coyly laughing with an innocent, demure air. Brilliant. And since we're talking about Ballets Russes, I'm intrigued by Nathaniel Dorsky's involvement as an editorial consultant. Can you speak to his involvement? Daniel Geller: He came on to Ballets Russes early on. He was the first editor on the project. He brought it to the point where we got a lot of the scenes on their feet. It was a hard movie. We had all these characters and wonderful stories about their origins, their feelings about dance, and all this history. We had actually done a couple of cuts with Nick. One focusing on characters only, not worrying about any of the history, and another one laying out the tracks of the history. At that point, I think we were all exhausted. Even Nick said, "Maybe it's time to take a break and bring someone else in with some fresh eyes to edit." That's when Gary Weimberg came in with a fresh blast of enthusiasm and his own eye and artistry and really jazzed up the two of us as well. We melded those two editorial strains into one movie. Goldfine: But, also, Nick is a huge George Balanchine fan. Guillén: I didn't know that! Goldfine: If you ever go to the ballet and there's a Balanchine program on, look up at the standing room only area behind the seats and you'll see Nick there. We didn't know that when we called him. 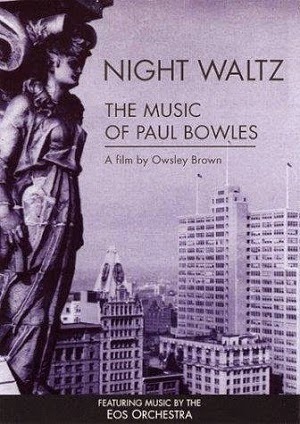 We just loved his films and had looked at the film on Paul Bowles that he had edited for Owsley Brown (Night Waltz: The Music of Paul Bowles, 2000), which we thought was a beautiful collaboration. Geller: And we had worked with Nick before on our follow-up to Frosh (1994), Now and Then (1999). Goldfine: We had called him to see if he would be interested in our subject, the Ballets Russes. He said, "Oh my God, I revere Balanchine and ballet." So Nick definitely brought a certain musicality to, especially, our initial approach to the footage and those sections. The 57th San Francisco International Film Festival (SFIFF57) is set to begin in ten days and so far we've taken a glance at this year's awards and special presentations, as well as the impressive line-up of French selections. The festival will also present a generous number of European films from outside France and here are some thoughts on the ones which have grabbed my attention. Four films from the UK and Ireland made my SFIFF57 must-see list. All have major U.S. distribution, so we'll see if I catch them at the fest or wait for their respective upcoming theatrical releases. (At this point, it appears none have directors or other talent accompanying them to the festival). 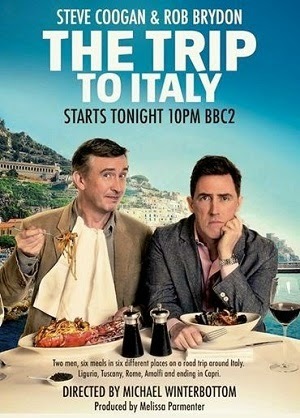 Like many people, I'm especially dying to see The Trip to Italy, Michael Winterbottom's sequel to 2010's The Trip, starring Steve Coogan and Rob Brydon as comically annoying versions of themselves out on the road. UK director Richard Ayoade follows up his acclaimed 2010 directorial debut Submarine with what appears to be another critical success, the Dostoevsky-based, dystopian doppelganger dramedy The Double, starring Jesse Eisenberg and Mia Wasilkowska (opening May 16 at the Landmark's Opera Plaza). Also returning with a lauded sophomore film is Irish director John Michael McDonagh, whose black comedy Calvary drew raves at Sundance and Berlin. This is his second collaboration with actor Brendan Gleeson (The Guard), here playing a village priest threatened with murder by an unseen confessor. Calvary is a last-minute addition not listed in the festival's printed program. Then in Lenny Abrahamson's absurdist indie-rock fable, Frank, Michael Fassbender's handsome face remains hidden through an entire movie, whilst he delivers lines from under a giant fiberglass head. From the continent's Eastern extremes, SFIFF57 brings us a pair of Georgian films. In case you haven't heard, the former Soviet Socialist Republic is the world's latest hotbed of emerging film talent. This "new" Georgian cinema movement is loosely thought to have begun with Levan Koguashvili's 2010 neo-realist junkie saga, Street Days. 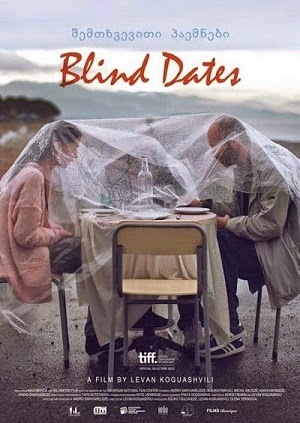 While that film has yet to appear in the Bay Area, the director's follow-up film Blind Dates, has earned a slot in this year's SFIFF line-up, along with Zaza Urushadze's anti-war tale Tangerines. I understand the Pacific Film Archive will be doing a Georgian series later this year and hopefully Street Days and Nana Ekvtimishvili's In Bloom, a terrific Georgian film I recently saw at the Palm Springs International Film Festival, will be included. From Georgia's neighbor Turkey, SFIFF57 is bringing us Zeynep Dadak and Merve Kayan's rambunctious female coming-of-age tale The Blue Wave, which is competing for SFIFF57's New Directors Prize. It might be remembered that last year's prize went to a debut Turkish film, Belmin Söylemez' Present Tense. Lastly from The East, I'm very grateful the festival has programmed Romania's When Evening Falls on Bucharest or Metabolism, another captivating-sounding exercise in cinematic formalism from Corneliu Porumboiu, director of 12:08 East of Bucharest and Police, Adjective. Rounding out the list of SFIFF57 European narrative features I'd like to catch are a trio from Scandinavia (albeit at its most loosely defined). Lukas Moodysson's We Are the Best! is said to be a return to the ebullience of his early films like Show Me Love and Together, following a string of four gravely dour projects that marked the Swedish director's output in the Aughts. His latest follows the ups and downs of an all-girl punk band in the 80's and is scheduled to open theatrically on June 6. While violent genre films from anywhere in the world are rarely my cup of grog, I've read enticing things about Alex van Warmerdam's Danish entry Borgman. The festival's capsule write-up suggests it's like Boudu Saved from Drowning as directed by David Lynch instead of Jean Renoir, and that's exactly how it comes across in the trailer. Along with François Ozon's Young and Beautiful, it's one of two SFIFF57 films that were in Cannes' main competition last year. Then in Benedikt Erlingsson's dryly humorous Of Horses and Men, a series of inventive vignettes explore relationships between man/beast and man / man in the Icelandic countryside. Friends who caught this 2014 Icelandic Oscar® submission at Palm Springs had only great things to say. 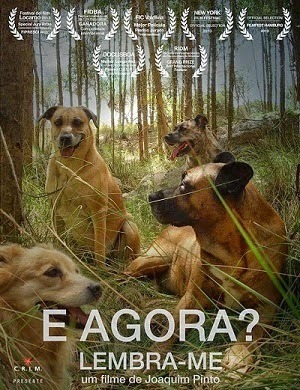 Four non-French European documentaries also make my SFIFF57 must-see list, starting with Joaquim Pinto's What Now? Remind Me, a 164-minute rumination on the director's year-long co-habitation with toxic, mind-altering drugs used to combat his HIV and Hepatitis C. The film won FIPRESCI and Special Jury Prizes at last year's Locarno Film Festival. I missed seeing Lois Patiño's Coast of Death at Palm Springs and am therefore grateful to find it here. This narration-less portrait of Spain's rugged Galician coast employs a device whereby human figures are miniscule within long-shots of nature, but their individual voices are heard crystal clear on the film's soundtrack. One of my favorite films of last year's festival was P.O.V. award-winner Jem Cohen's Museum Hours, which was largely set inside Vienna's Kunsthistorisches Museum. 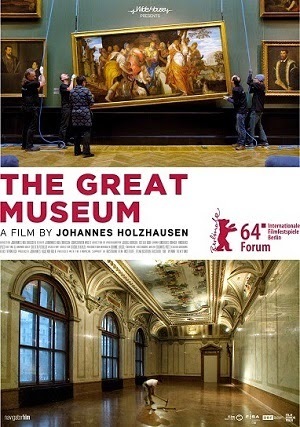 Johannes Holzhausen's The Great Museum takes an in-depth, Frederick Wiseman-like look at this revered institution's inner workings as it prepares for a 2013 renovation. And last but certainly not least, Mark Cousins follows up his staggeringly great 15-hour doc series The Story of Film with the self-explanatory A Story of Children and Film. Now that we've gotten the 57th San Francisco International Film Festival's roster of special programs out of the way, it's time to get into the nitty-gritty of this year's promising, 103-feature film line-up. In my next few dispatches, I'll be regionally surveying the titles which have grabbed my interest. As always we'll be starting with France, because that's where most of the films I wish to see hail from. In addition to being alphabetically first in the festival catalog, Catherine Breillat's Abuse of Weakness is the film I'm most jonesing to see at SFIFF57. 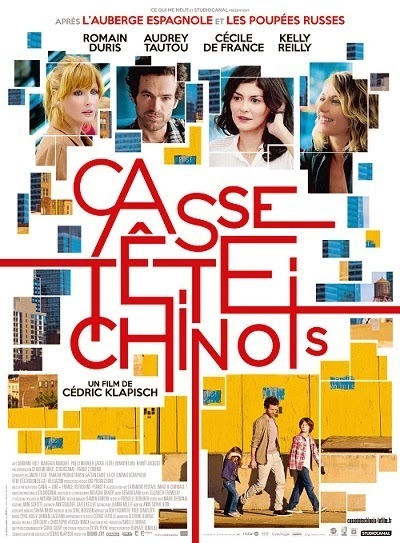 In this essentially autobiographical work, Isabelle Huppert plays a movie director incapacitated by a stroke, who falls prey to a handsome conman (portrayed by French rapper Kool Shen). Breillat has a long history with the festival, and appeared here in person when The Last Mistress opened the fest in 2008. Since then, SFIFF has brought us the director's two fairytale adaptations, Bluebeard (2009) and The Sleeping Beauty (2011) and I'm pleased they've followed through with her latest. Isabelle Huppert shows up again in the SFIFF57 selection Tip Top. She and Sandrine Kiberlain star as detectives investigating police corruption and a small town murder. The film has been described as a perverse, screwball neo-noir and comes from writer / director Serge Bozon, whose odd WWI musical La France played the festival in 2008. Alas, the fest has chosen not to bring us Huppert's turn as a horny mother superior in 2013's The Nun. If memory serves, it's been a while since a bona fide French movie star attended SFIFF—Ludivine Sagnier accompanying Claude Chabrol's A Girl Cut in Two in 2008, perhaps—so I'm excited at the prospect of actor Romain Duris being here for the April 26 showing of Chinese Puzzle, along with director Cédric Klapisch. Duris, for those who can't place the name, co-starred in last year's SFIFF audience award winner, 1950's speed-typing rom-com, Populaire. I first took note of him when the festival showed Tony Gatlif's Gadjo Dilo in 1998. His new film closes out a loose trilogy, all directed by Klapisch, that includes L'Auberge Espagnole (2002) and Russian Dolls (2005). While there's only one screening at the festival, Chinese Puzzle will open at Landmark's Embarcadero Cinema on May 23. Another SFIFF57 French film scheduled to open soon locally (May 9 at Landmark's Opera Plaza) is François Ozon's Young & Beautiful, a matter-of-fact portrait of a teenage Parisienne's dabblings in prostitution, which screened in competition at Cannes last year. SFIFF tends to pass on most films of LGBT interest—I've always assumed out of deference to the Frameline LGBT film fest which takes place each June. I was therefore surprised and not displeased to find at least seven such films in the 2014 line-up, four of them French or French co-productions. I'm most looking forward to Salvation Army, by first-time director Abdellah Taïa. Based on his autobiographical novel, it's the two-part story of a gay Moroccan teenager living with his family in Casablanca, whom we meet again 10 years later residing in Geneva. The film has received raves since its premiere at Venice last September and features cinematography by the incomparable Agnès Godard. Also on the LGBT tip is Robin Campillo's Eastern Boys, wherein a middle-aged Parisian gets more than he bargained for upon taking up with an Eastern European train station hustler. Campillo is best known for screenplays co-written with Laurent Cantet (Time Out, The Class) and Eastern Boys is the first film he's directed since 2004's zombie flick, Les revenants. Actor Niels Arestrup is always recognizable for the older, macho types he's played in such films as The Beat My Heart Skipped and A Prophet. It should therefore be interesting to see him play a worn out, missing-persons detective who happens to be gay in Yossi Aviram's The Dune. The film co-stars Israeli heartthrob Lior Ashkenazi (Late Marriage, Walk on Water) as a long-estranged son and has been praised for its authentic depiction of an elderly gay couple. 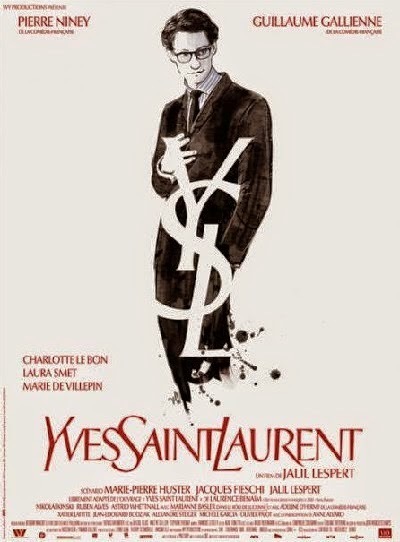 Finally, while I couldn't care less about haute couture and have shunned the entire glut of recent fashion designer documentaries, I'm intrigued by SFIFF57's bio-pic of Yves Saint Laurent. That's because Jalil Lespert, an actor I've always admired (Human Resources, the titular Le petit lieutenant), has for some reason chosen this as his third directorial feature. Lespert attended the festival in 2005 when he accompanied Robert Guédiguian's The Last Mitterrand to San Francisco. Yves Saint Laurent will also open at Landmark's Opera Plaza on July 4. Two additional SFIFF57 French narrative features have caught my eye. If you've attended recent editions of the SF Film Society's French Cinema Now, you're familiar with the droopy-eyed, stringy-haired countenance of actor Vincent Macaigne. He starred in last year's FCN opening nighter 2 Autumns, 3 Winters, and the previous year's double-billed shorts A World Without Women and Stranded. Those shorts were directed by Guillaume Brac, whose new film Tonnerre finds Macaigne playing a rock star whose life gets complicated during a hometown visit. Then in Sophie Fillières' If You Don't, I Will, two of my favorite French stars, Emmanuelle Devos and Mathieu Amalric, pair up as an out-of-sorts couple (as they've done before in the films of Arnaud Desplechin). Amalric, it might be mentioned, is said to have an unforgettable cameo in the aforementioned The Dune. One of the nicest surprises to be found in this year's line-up is the documentary Agnès Varda: From Here to There. 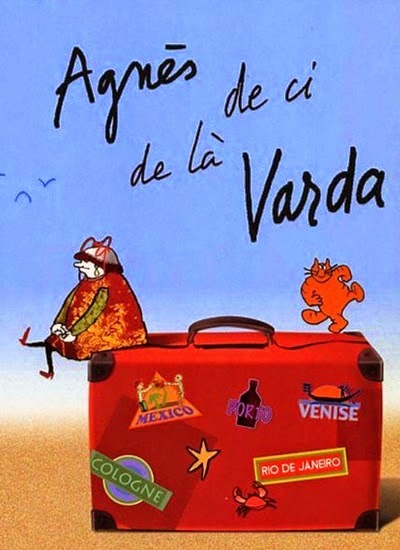 In this 5-part French TV mini-series which originally aired in 2011, the 85-year-old "Godmother of the French New Wave" journeys around Europe doing what she does best, which is simply being Agnès Varda. Her itinerary includes conversations with directors Chris Marker, Alexander Sokurov, Carlos Reygadas and Manoel de Oliveira. The series can be enjoyed in one fell 225-minute swoop or spread across five short weekday matinees. 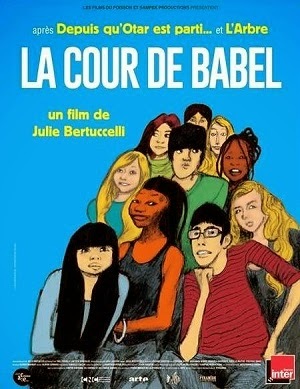 Another French doc I'm looking forward to is Julie Bertuccelli's School of Babel, an intimate look at a Parisian "reception" class for immigrant students. Bertuccelli's last documentary to play the festival, 2007's The Whistling Blackbird, followed the production of veteran French-Georgian director Otar Iosseliani's Gardens in Autumn, and was considerably better than the film it observed in the making. Bertuccelli is also known for her narrative features Since Otar Left (2003) and The Tree (2010). 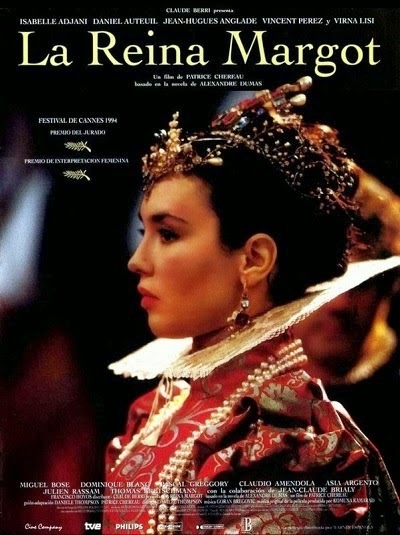 Finally, as a 20th anniversary tribute, the festival will screen a 159-minute restored director's cut of Patrice Chéreau's Queen Margot, starring Isabelle Adjani, Daniel Auteuil, Virna Lisi and Vincent Perez. Steven Jenkins' florid description of the film in the catalog will jog your memory as to why it deserves to be revisited. 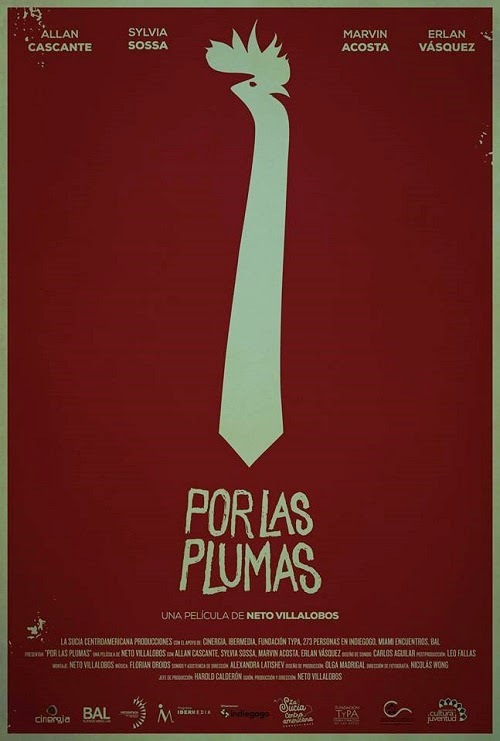 All About the Feathers / Por Las Plumas, Neto Villalobos, Costa Rica (2013)—A security guard who wants to get into the cockfighting trade buys, befriends, and becomes inseparable from his rooster protégé Rocky, in this winsome feature debut from Costa Rican director Neto Villalobos. As Nicole Gluckstern has noted in her SFIFF program capsule, All About the Feathers is a "subtle, absurdist comedy" that hinges on the stellar performances of its mostly non-professional cast. "Sedately paced, yet quietly observational, the near-documentary feel of this quixotic fiction is enhanced by ... astute cinematography." Villalobos is expected to attend the festival. IMDb. Facebook. All About the Feathers had its world premiere in the Discovery sidebar at the 2013 Toronto International Film Festival where Diana Sanchez characterized the film as "a bromance between a man and his rooster." She added: "Villalobos cultivates a dry comic style reminiscent of early Jim Jarmusch: cockeyed, minimalist, and affectionately attentive to behavioral quirks—both human and avian." The film followed up with its U.S. premiere last month at the Miami International, which awarded Villalobos its Encuentros Award the previous year, enabling the film to achieve completion. At Cultist, Hans Morgenstern praised the film's deadpan humor, warm wit, and resemblances to the films of Wes Anderson "without being too cute about it." He writes: "First-time director Neto Villalobos, who also wrote and edited the film, shows a keen eye for timing throughout the film, which runs a neat 85 minutes. He lets the camera linger on many scenes, building on a rhythm that seems to celebrate a love for the gradually unfolding moment and the Sisyphean myth of persistence. His original style never feels slow or dull, as it allows for the layers of ironic behavior to pile up for genuine laughs, well-earned by the charms of these characters." Univers/Ciné conducted a video interview in Spanish (with French subtitles) wherein Villalobos outlines the film's development over a persistent seven years. Another Spanish video interview can be found at LatAm Cinema. 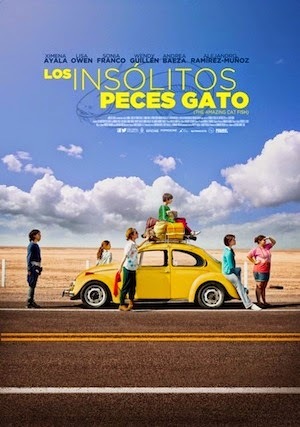 The Amazing Catfish / Los insólitos peces gato, Claudia Sainte-Luce, Mexico (2013)—Set in Guadalajara, The Amazing Catfish follows the quiet transformation of a solitary young woman informally adopted and absorbed into a rambunctious matriarchy in a state of crisis. Filmed by Claire Denis' long-time cinematographer, Agnès Godard, Claudia Sainte-Luce's debut feature—based loosely on events from her own life—blends a wry and moving naturalism with moments of inspired comedy. IMDb. Wikipedia. The film premiered at the Locarno International Film Festival, where it won two Junior Jury Awards and was a nominee for the Golden Leopard. It had its North American premiere in the Discovery sidebar at the 2013 Toronto International Film Festival, where programmer Diana Sanchez noted: "Some families we're born into; some we build. And some families simply come to us, unannounced, when we least expect it. The story of The Amazing Catfish falls into that last category." Amazing Catfish went on to win Toronto's FIPRESCI Discovery Prize. Eric Ortiz Garcia interviewed Claudia Sainte-Luce for Twitch at the 2013 Morelia International. He determined that the film's title came from the fact that catfish live together in families, which Sainte-Luce likened to the family in her film. "I think every member of the family is amazing," she told Garcia, "and their force is staying together." 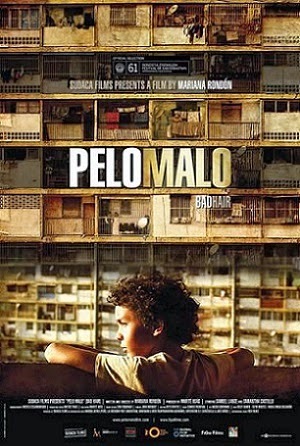 Bad Hair / Pelo Malo, Mariana Rondón, Peru / Venezuela (2013)—A nine-year-old boy's preening obsession with straightening his hair elicits a tidal wave of homophobic panic in his hard-working mother in this tender but clear-eyed coming-of-age tale from Venezuelan writer-director Mariana Rondón. As Dennis Harvey amplifies in his SFIFF program capsule: "Without ever spelling anything out, Mariana Rondón's prize-winning feature addresses potent issues of economic pressure and homophobia within the family unit. She displays a fine understanding of the unspoken tensions that can create a divide—and the occasional words said in anger that can seal it. Bad Hair is a finely acted, deceptively small-scaled drama that subtly works its way toward a big impact." Mariana Rondón is expected to attend the festival. IMDb. Wikipedia. Facebook. Winner of the Golden Seashell and the Sebastiane Award at the San Sebastián International Film Festival; Best Director and Screenplay at the Mar del Plata Film Festival; the Bronze Alexander and the FIPRESCI Prize at the Thessaloniki Film Festival; a Special Jury Prize at the Havana Film Festival; and awards for Best Female Performance by Samantha Castillo at the Montréal Festival of New Cinema and the Torino International Festival of Young Cinema, Bad Hair has likewise garnered unanimous critical acclaim. At the Toronto International, Diana Sanchez writes: "The slippery nature of identity—how it forms in us, the ways it tells us how we might want to look or who we desire—is at the heart of this third feature from Venezuelan writer-director Marina Rondón." At Variety, Jay Weissberg proclaims that "Mariana Rondón's impressively multilayered drama brings a powerful specificity to the story of a boy and his embittered single mother." Weissberg furthers: "Though Rondón had a script, she never showed it to the cast, preferring to work with them through improvisation. The results are a testament to the skills of all concerned, and performances are uniformly strong." At The Hollywood Reporter, David Rooney concurs with the film's strength as "a spare neorealist drama that holds attention and emotional involvement with its deft balance of toughness and sensitivity." He contextualizes: "In loose scenes drawn out of improvisation work with the naturalistic actors, the standoff between mother and son is etched with unflinching honesty. Rondón's detached observational approach and parsimoniousness with plot details may be frustrating for audiences wanting conventional storytelling. But a complex, compassionate picture emerges of the external forces that can cloud a mother's love, and of the lengths of abnegation to which a child will go to secure a parent's affection." At IndieWire, Vanessa Martinez finds Bad Hair "a bold, gripping drama." At Twitch, Pedro Ponte observes: "Caracas becomes a character in itself, a violent, hostile character, with its largely crowded, prison-like apartment blocks where families live cramped and hopeless." Club Sándwich, Fernando Eimbcke, Mexico (2013)—While vacationing at a seaside resort, a single mother faces the inevitable when her 15-year-old son—and best friend—finds himself overwhelmingly drawn to a girl his own age. Mexican writer-director Fernando Eimbcke explores the awkwardness of both adolescence and parental separation anxiety with great sensitivity and a decidedly light comic touch. As stated by Gustavus Kundahl in his SFIFF program capsule: "In limning what may be the least verbal romance in cinema history, director Fernando Eimbcke employs a delightful restraint that brings forth an intimacy, acuity and comic release that few films can match." Fernando Eimbcke is expected to attend the festival. IMDb. Wikipedia. Winner of the Silver Seashell for Best Director at the San Sebastián International Film Festival, Fernando Eimbcke proved as charming (and funny!) as his films when we met last Fall at the Morelia International Film Festival where Club Sándwich played to his enthusiastic fanbase. At Variety, Rob Nelson extols Club Sándwich as the "essence of evocative simplicity" and "a minimalist film with maximum pathos." At The Hollywood Reporter, David Rooney's bottom line is that Club Sándwich is "an intimate snapshot of separation anxiety" and concludes: "This is a modestly scaled film, but a refreshing one, laced with unforced humor. Eimbcke's observational style is dry and detached yet perceptive, channeled through the limpid gaze of Maria Secco's fixed camera. The Hockney-esque composed shots of the hotel swimming pool are used with particular effectiveness, and the lethargic rhythms of Mariana Rodriguez's editing are essential to the movie's general restraint. There's not a false note in the performances, from the internalized work of the two young leads to the more expressive countenance of [Maria Renee] Prudencio's Paloma, herself not so far removed from adolescence in her tender vulnerability." The Film Experience interviews Dánae Reynaud. At Keyframe Daily, David Hudson rounds up the reviews from the film's New York Film Festival screening. Coast of Death / Costa da Morte, Lois Patiño, Spain (2013)—At any given film festival, there always seems to be a film that eludes me and, earlier this year at the Palm Springs International Film Festival (PSIFF), that film was Coast of Death, which sold out before I arrived, and had no screener for press review. Winner of the Best Emerging Director at the Locarno Film Festival, Lois Patiño directed, shot and edited this debut feature, an experimental documentary billed by PSIFF as a gorgeous and magical film about the people, land and sea that make up this special place in the far northwest region of Galicia, Spain. Lois Patiño is expected to attend SFIFF57. Official site. IMDb. At Nonfics, Daniel Walber describes Coast of Death as "a starkly beautiful documentary about nature's troubled relationship with mankind, set on the rough coast of Northeastern Spain. Director Lois Patiño transcends the typical fare of this genre with an inspired device that splits the audience's perspective between the landscape and its people." Walber observes that the "governing style of the film, present[s] the inhabitants of Galicia as tiny figures surrounded by the towering beauty of their environment" but that Patiño allows the audience to hear what these Galicians are saying, no matter how distant. "With this device," Walber concludes, "Patiño can play with the relationship between Galicia and the Galicians. …The people are in the landscape and the landscape is in the people, and Costa da Morte is a beautifully crafted exploration of this simultaneity. And while it enmeshes itself in the particular topography of Galicia, it's hard to imagine a place that wouldn't have some relationship with this same natural dialog." At Sound on Sight, Christopher Clemente has a more guarded perspective: "Characterized by the titled location, Costa Da Morte is an amorous tale like no other. A love affair between its maker, Lois Patiño, and its coastal surroundings, the film is a small, intimate display of compassion between cinematographer and landscape. Capturing beauty and immortalizing natural liveliness is indeed accomplished with great triumph by the young director, but unfortunately for the masses, that same director might be the film's biggest and possibly only fan." Also: "Yet this is so much more than a nature documentary; the film stimulates the senses. Close your eyes and you are transported to Galica, which isn't the worst of places to spend 80 minutes, but may feel like 70 minutes too long. Because the film doesn't use a structured script and character development, aside from the embodiment of the coast itself, the journey can seem a little too prolonged and a bit too personalized from the filmmaker's point of view." 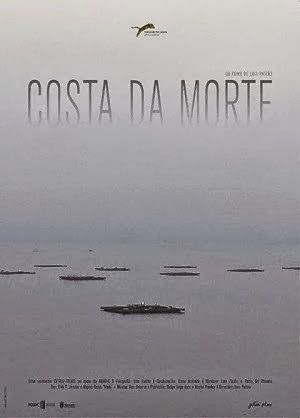 At The Film Experience, Glenn Dunks more fairly negotiates spectatorial expectation by accepting Coast of Death on its own terms: "Costa da Morte is the type of film I would expect more from the people that brought us Sweetgrass and Leviathan. Patiño’s film may have found itself under the banner of 'avant-garde' thanks to its lack of traditional documentary elements such as talking heads and overriding narrative, but it's far more standard than the term 'avant-garde' would suggest. It's a nature documentary first and foremost; an anthropological study into the way people integrate. For some I guess that's weird and strange, but for me it's just life." 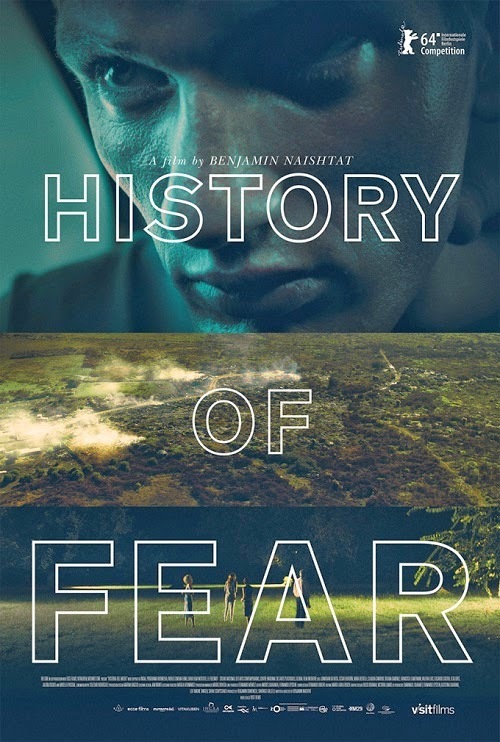 History of Fear / Historia del miedo, Benjamín Naishtat, Argentina / France / Germany / Uruguay / Qatar (2014)—Paranoia runs rampant in this accomplished first feature, instilling a disorienting sense of dread in the viewer. Are the strange occurrences in an affluent Buenos Aires suburb evidence that the skittish residents are actually being targeted? Naishtat foregoes ready explanations or assurances in favor of foreboding suggestions in a film that is sprawling both in scope and implications but astonishingly exacting in its execution. Official site [Spanish]. IMDb. Wikipedia. History of Fear had its premiere in the competition section of the 64th Berlin International Film Festival. At Variety, Peter Debruge notes that in Naishtat's hands, "the subtext intimidates even as what's happening on the surface sometimes seems inscrutable, the helmer aiming not to confuse so much as to allow audiences to project their own interpretations." The bottom line for Boyd von Hoeij at The Hollywood Reporter is that History of Fear is "an impressive debut feature that relies on visuals and the power of suggestion to talk about abstract notions such as angst." At IndieWire, Eric Kohn writes: "Buenos Aires is a haven for paranoia and confusion in Argentinian writer-director Benjamín Naishtat's mesmerizing debut History of Fear, though its title is something of a misnomer. Rather than chronicling the timeline of the listless quality that characterizes Argentina's suburban class—and, by extension, those around the world—History of Fear hypnotically sets its gaze on the present. Borrowing the beats of a disaster movie without ever giving the invisible threat a name, Naishtat explores the tenuous constructs that allow a subset of the population to deny the harsher ingredients of the world beyond their safety zone—until it's thrust right in front of them." Manos Sucias, Josef Wladyka, USA / Colombia (2014)—A reluctant smuggler and his eager neophyte brother shepherd a dangerous narco-torpedo up the coast of Colombia, posing as fishermen. Paramilitary, guerrillas and hardscrabble desperation suffuse every inch of the jungle and waters that surround them, eager to separate the siblings from their only opportunity to escape the circumstances of their lives. 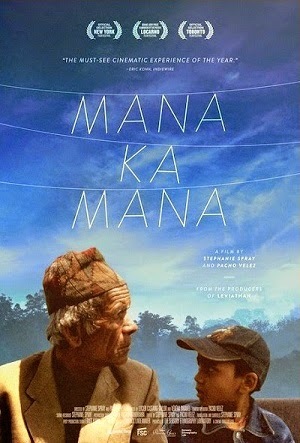 Manos Sucias is the recipient of two 2013 San Francisco Film Society KRF Filmmaking grants. Director and co-writer Josef Kubota Wladyka, co-writer Alan Blanco, and producers Elena Julia Greenlee and Márcia Nunes are expected to attend the festival. IMDb. 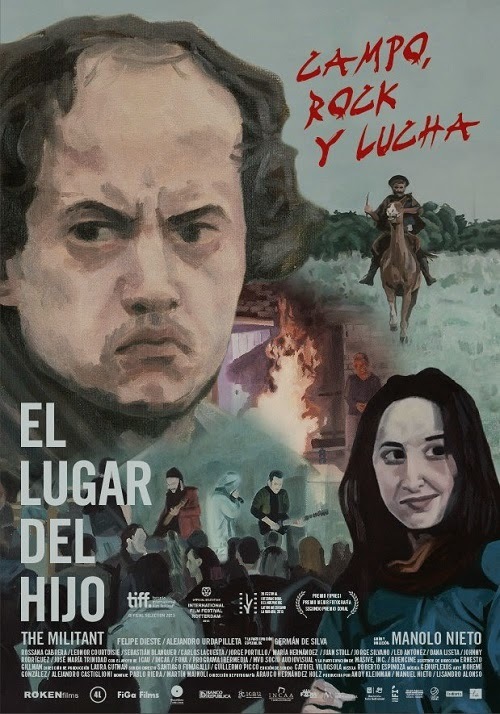 The Militant / El Lugar del Hijo, Manolo Nieto, Argentina / Uruguay (2013)—As noted by Miguel Pendás in his SFIFF program capsule, a packinghouse workers strike forms the backdrop to this coming-of-age story set during the economic crisis in 2002 Uruguay. "This sensitive, multilayered film, brimming with metaphor and suggestion," Pendás writes, "was the most-awarded film at the Havana Film Festival, winning second place for best narrative feature, best cinematography and the film critics' FIPRESCI Prize." IMDb. Facebook. Jonathan Holland's bottom line at The Hollywood Reporter is that The Militant is a "deceptively rambling, serious-minded coming-of-age drama with a sharp political point, built around a central performance that fascinatingly combines blankness and intensity." Comparing Nieto's effort with Santiago Mitre's El Estudiante, in its focus on "the political disenchantment of a disenfranchised generation", Holland synopsizes: "It's a comic, fish-out-of-water setup that generates some broad verbal and visual comedy, but far more urgent themes are bubbling under the surface, themes relating to a generation that has lost its way under the burden of a bad political and economic inheritance, consisting of people who are playing the roles of political activists without quite knowing what it is that political activists do." The Reconstruction / La reconstrucción, Juan Taratuto, Argentina (2013)—"The Reconstruction's beauty," Judy Bloch writes in her SFIFF program capsule, "is in its challenge: to make an asocial character human. As in Bresson, empathy comes through the smallest revelations. 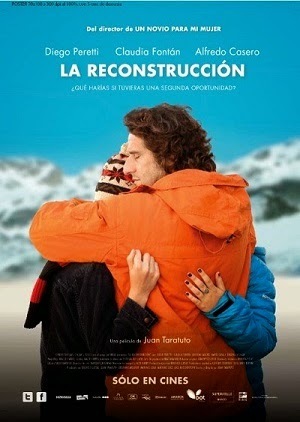 Pay close attention to them, as the director Juan Taratuto and his star [Diego] Peretti have so skillfully done. Each character in this fine ensemble contributes to the others' redemption. In this way, love proves transmutable." Peretti won Best Actor at the Havana Film Festival and director Taratuto won the Critics Choice Award at the Valladolid International Film Festival. IMDb. At The Hollywood Reporter, Jonathan Holland observes that one of the film's most unique accomplishments is "its directorial U-turn from comedy to tightly focused, character-based drama for both Argentinian director Juan Taratuto and star Diego Peretti." He continues: "Particularly strong in its atmospherics and performances, especially from Peretti, who reveals previously unsuspected depths, this miniature tale of a damaged heart is admirable." The SF Film Society (SFFS) revealed the full line-up for the eagerly anticipated 57th San Francisco International Film Festival (SFIFF57) at a Fairmont Hotel press conference last Tuesday. In addition to the previously announced opening and closing night films, Founders Directing Award and live music events, the following special programs were unveiled by Executive Director Noah Cowan and SFFS's team of long-standing programmers. Writer and film historian David Thomson will receive SFIFF57's Mel Novikoff Award, which "acknowledges an individual or institution whose work has enhanced the filmgoing public's knowledge and appreciation of world cinema." 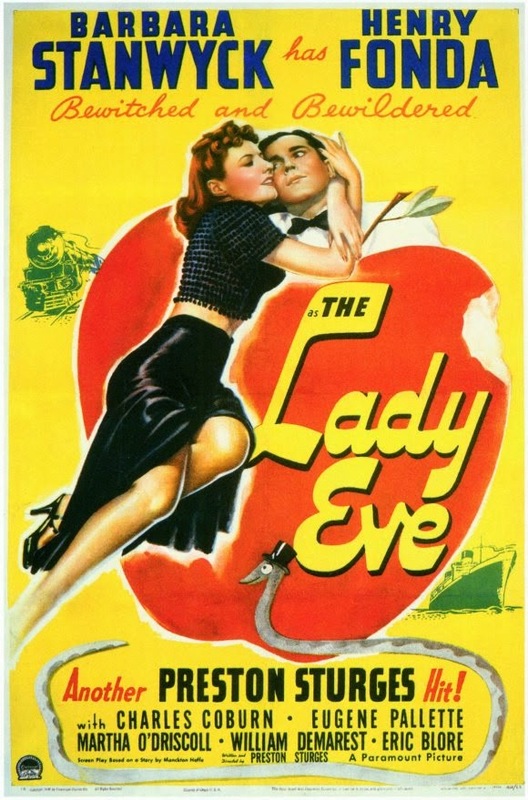 The sure-to-be engaging Thomson will be interviewed by author Geoff Dyer, followed by a screening of Preston Sturges' 1941 screwball comedy, The Lady Eve, with Barbara Stanwyck and Henry Fonda. The festival's 2014 Kanbar Award for screenwriting will go to Stephen Gaghan (Traffic, Rules of Engagement), in a program that will feature a screening of 2005's Syriana. The Persistence of Vision Award, which "honors the achievement of a filmmaker whose main body of work is outside the realm of narrative feature filmmaking," has been awarded to British filmmaker (Young Soul Rebels) and installation artist Isaac Julien. The on-stage interview will be conducted by none other than writer / critic B. Ruby Rich. A showing of Julien's 2010 installation piece, Ten Thousand Waves starring Maggie Cheung, will follow their conversation. A Conversation with K.K. Barrett, featuring the renowned production designer of such films as Her, Where the Wild Things Are and Being John Malkovich, has been added to the festival's Live & Onstage sidebar. Amongst this year's Master Classes and Salons, I'm especially drawn to "The $11 Billion Dollar Year", a panel discussion about the film industry's future with reporter / critic Anne Thompson, Fandor co-founder Jonathan Marlow, Telluride's Gary Meyer and SFFS's brand new Executive Director Noah Cowan. As of this writing, the Peter J. Owens Award for acting and the State of Cinema Address remain TBA. In a sign of the times, I believe it's worth noting that with the exception of Tod Browing's 1927 The Unknown, and a handful of shorts, all SFIFF presentations this year will be digital, including the restorations and revivals. I've had the good fortune to attend every San Francisco International Film Festival (SFIFF) since 1976 and the privilege of covering it as accredited press for eight years running. The 57th SFIFF opens on Thursday, April 24 with a screening of The Two Faces of January, which marks the directorial debut of screenwriter Hossein Amini (Drive, The Wings of the Dove). The film premiered to positive reviews when it screened out of competition at this year's Berlin Film Festival, and the SFIFF Opening Night slot will be its North American premiere. 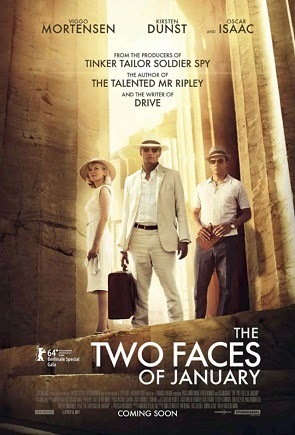 Starring Kirsten Dunst, Viggo Mortensen and Oscar Isaac, the movie is based on a Patricia Highsmith (The Talented Mr. Ripley) novel and is set in a lushly photographed Greece and Turkey in the early '60s. Director Amini is scheduled to be in attendance. This year's opening night party will be at the SOMA nightclub Public Works. The festival closes on May 8 with another directorial debut, this one from actor Chris Messina (who I had to IMDb because I obviously don't watch enough television). His film is called Alex of Venice and it stars Mary Elizabeth Winstead (had to look her up as well) as an attorney whose life changes when her stay-at-home husband (Messina) decides to take a break from it all. Both Messina and Winstead are expected to attend the screening. Alex of Venice arrives in San Francisco very soon after its world premiere at Tribeca. SFIFF57's closing night party takes place at The Chapel club, in the heart of the Mission District. This year's Founder's Directing Award goes to none other than the fabulously eclectic and talented Richard Linklater, whose debut feature Slackers played the festival in 1991 and whose most recent film, Before Midnight, closed last year's fest with the director in attendance. Linklater's tribute takes place at the Castro Theatre on Friday, May 2, with an on-stage interview, career clips reel and a screening of his 18th and most recent feature, the wildly acclaimed Boyhood. This event is destined to be a huge highlight of SFIFF57—I arranged to take the night off from work the minute I heard about it. One of the festival's most popular events is the annual pairing of a silent film with a newly composed score, performed live by a contemporary music artist. 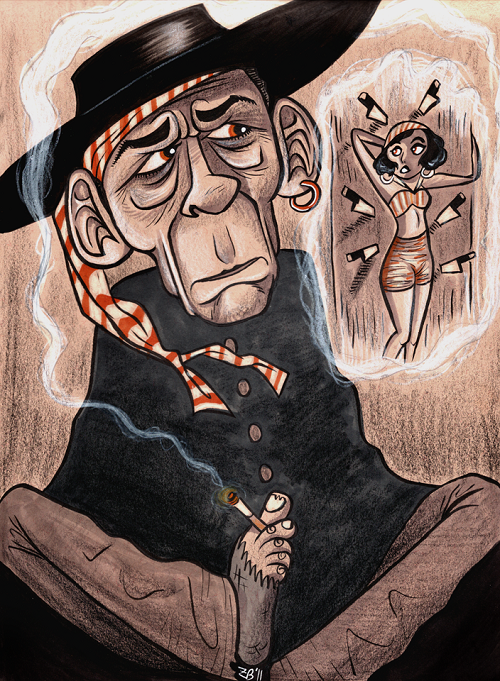 Four years after his campy (and somewhat divisive) accompaniment to 20,000 Leagues Under the Sea, The Magnetic Fields' front man Stephin Merritt returns to SFIFF with his take on Tod Browning's 1927 creepy circus crime thriller The Unknown, starring Lon Chaney and Joan Crawford. (The film last played the Castro Theatre during the 2008 SF Silent Film Festival, with director Guy Maddin doing a live translation of its French inter-titles.) The second SFIFF57 live music event at the Castro will be Bay Area musician Thao Nguyen and her band, The Get Down Stay Down, performing alongside a diverse selection of short films that includes Chaplin's The Pawn Shop, animations by Harry Smith, vintage newsreels and some of Nguyen's own video work. Eleven films will compete for 2014's SFIFF New Directors Prize. I'm especially excited they've programmed Salvation Army, Abdellah Taïa's adaptation of his autobiographical novel about a gay Moroccan boy who later immigrates to Europe. It's a critically acclaimed film I wasn't expecting to see until June's Frameline LGBT festival. The other New Directors Prize contender I'm hot to see is Benjamín Naishtat's History of Fear, a dystopian nightmare set in the Buenos Aires suburbs, which has drawn comparisons to the early works of Michael Haneke since its Berlin premiere. I've also heard terrific things about the Icelandic film, Of Horses and Men, and Mexico's The Amazing Catfish. Both the latter film, as well as Taïa's Salvation Army, boasts cinematography by renowned DP Agnès Godard. Eight films are in the running for SFIFF57's Golden Gate Awards Documentary Feature Competition. 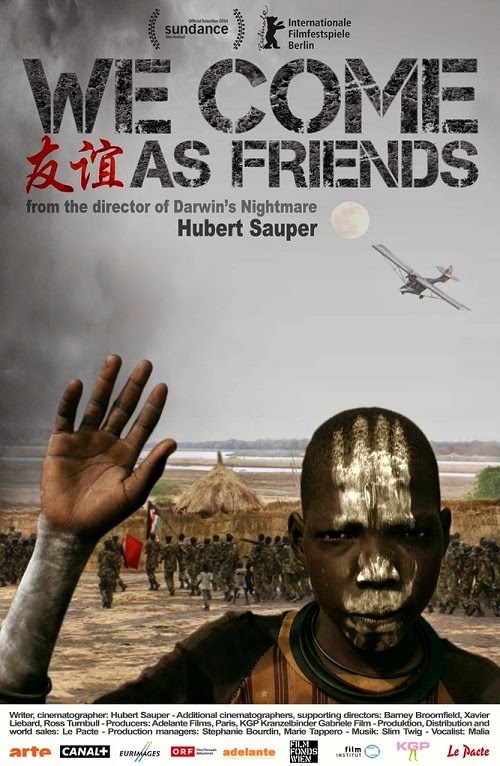 The only one even remotely on my radar is Hubert Sauper's We Come as Friends, which examines the human cost of neo-colonialism in the newly formed nation of South Sudan. To this day, Sauper's 2004 Oscar®-nominated Darwin's Nightmare remains the most disturbing and dispiriting doc I've ever seen. Perhaps his latest will make me feel even worse. Cross-published (in an expanded version) at film-415.